Study abroad: expensive vacations or a chance for cross-cultural understanding? Larisa Gehmie, a Hamline University student with a global studies major and religion minor, got a surprise when she went abroad to Morocco in spring of last year. 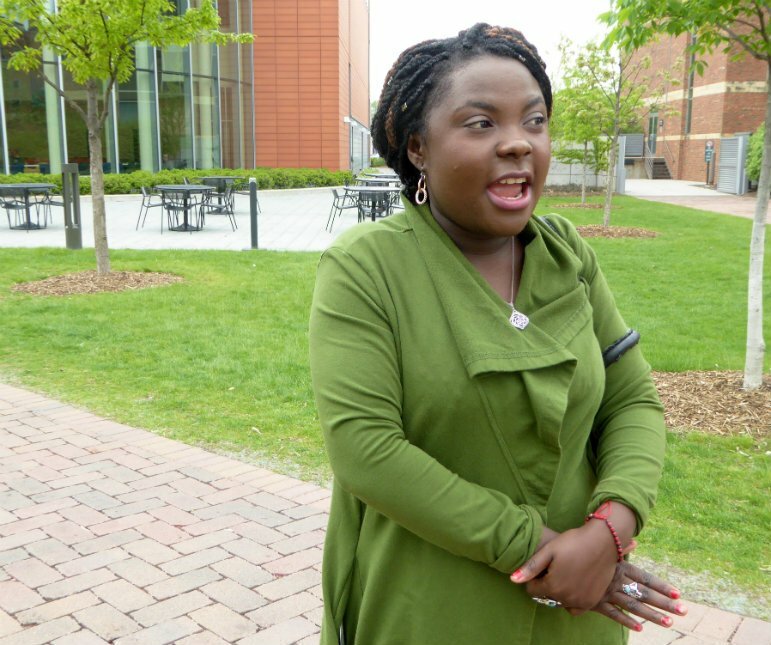 Gehmie and her family immigrated from Côte d’Ivoire to the United States when she was 10 years old, and this was the first time she’d been outside the country since. The whole time she was there, she found herself explaining—even trying to push past disbelief—she was just as American as the other students studying abroad with her, most of whom were white. It was frustrating at first, but after awhile, she sort of got used to it. “When people think of America, they think of the typical Caucasian person,” she said. And in this world, where most American movie stars and tourists and students studying abroad are white, she thought, why wouldn’t they? Study abroad programs have been an international tradition for years, touted as a surefire way to expand global horizons and even change students’ worldviews. But ironically, they have a diversity problem – first and foremost, economically. The average study abroad program costs $31,270 per semester. Even with support from the university, taking a short trip abroad through a school like Hamline can cost anywhere between $2,500 and $6,000. There’s a racial gap, too. The latest report from Open Doors, a U.S. State Department-funded resource on international students, shows that more than 300,000 students in the United States went abroad in the 2013-2014 school year, a 5-percent increase from the previous year. About 26 percent of those students were students of color. In a decade, the number of students of color studying abroad had only seen a modest increase of about 10 percent. And what about the predominantly wealthier, whiter students who do study abroad? Are programs doing enough to make them more aware of diversity abroad and at home? When so many more white students than students of color go abroad, it creates an imbalance in how both countries perceive difference, especially when it comes to countries where the majority of people are people of color. It plays into stereotypes on both sides, she said. It feeds notions of foreign exoticism and voyeurism. A main tenet of study abroad programs is to promote cross-cultural understanding, but that isn’t a natural result of plopping a student down in another country. Any student who has gone abroad in a group knows that going to another country won’t necessarily make them more culturally aware. Winona State University alumnus Levi Johnson, a recent graduate from St. Cloud, offered an example from his experience studying abroad in China. “If you’re really intentional and desiring to learn, you can learn a lot,” Johnson said. While he was in China from August 2014 to July 2015, he made a point of putting in the work and exploring the world around him. He visited religious centers and asked people about their beliefs to get a better idea of what faith and spirituality was like in China. He made local friends and ate with their families. His Chinese language skills improved by leaps and bounds. There were other students, however, that didn’t put the same effort into it. It’s problematic. A trip to another country might not do anything to deconstruct cultural barriers. On the contrary, it might reinforce them. But when executed the right way, studying abroad is an invaluable experience for understanding the culture of another country, and for understanding one’s own culture. Weidong Zhang has been teaching Chinese at Winona State University for nine years, and every year he sees a handful of students go to China, and Chinese students come to the United States. He’s originally from Nanjing, China, and he can’t say enough about the value of sending students back and forth between the two countries. “Or something like that,” he said. As a result, administrators and oversight committees are making efforts to keep the experience focused on education—not vacation or voyeurism. That’s part of Christine Diaz’s job as Assistant Director of International Programs at Hamline. Hamline’s study abroad program is comprised of both short-term and long-term trips, largely conceived in-house or through a university in another country, with extensive pre-departure and post-return orientations. Other higher learning institutions, like Macalester College, largely rely on outside programs, which they evaluate for safety and educational quality. But even evaluating the motives of these programs can be difficult. Many study abroad programs are made possible through universities and nonprofits, but not all of them, and it’s a tricky undertaking making sure the primary goal isn’t accepting money from affluent students and sending them on a pleasure trip. The Forum on Education Abroad, a nonprofit founded in 2001, is tasked with keeping these programs up to standard. They oversee about 800 different study abroad programs, 80 percent of which are United States-based colleges, universities and nonprofits. “Our standards are for programs at the university level, specifically for students going abroad, as well as for universities that host students,” Brian Whalen said. But the word “standards” is highly flexible, and doesn’t always relate to promoting cultural learning or global understanding. In spite of the flexible definition of standards,a fair few study abroad programs fall short. “It’s a common area of weakness,” Whalen said. When that happens, the Forum on Education Abroad conducts an assessment, looks at student evaluations and tries to work with the study abroad program to find the goal of the trip. The most concrete way to improve study abroad, to make sure the focus stays on education, to make sure every facet of American identity is displayed equally to the world and to make sure every student has the chance to equally reap the benefits, is to make it more accessible financially. The cost has been a persistent obstacle to students and their advisers. “There is a privilege factor when it comes to these programs,” Diaz said. Gehmie managed to go abroad because she got a scholarship through the Institute for the International Education of Students, and by paying Hamline what she would have paid for a semester of in-country tuition. But she thinks schools could—and should—do more, and financial accessibility, diversity and true cultural exchange are all tied together. Sometimes it is a mandate. Diploma’s are withheld until study abroad is achieved. WYSTC invites you to tap into this lucrative market valued at $300B. Student tourism is a research funding strategy for many professors and institutes. What do you suppose a semester open enrolled in Morrocco really costs? I invite Hamline to partner with Depart Smart so students go abroad engaged and choose wisely. Consumer driven services. Sadly we have far too many preventable deaths of ethnic students who travelled with untoward programs and lost their lives. They felt somehow that study abroad would open doors a conventional education would not. Students be aware – congress has not provided any department of the USA with authority to investigate and prevent victimization of youth / students on programs abroad. Thanks for this. Important considerations. My daughter’s summer semester did work very well. ..managed by a professor native to the country. She learned most about culture and lifestyle by living with a family. What happens when parents are working hard, but due to systemic barriers or differing life circumstances they can’t make enough money to support themselves and their family?